Our Facilities are built to serve you. 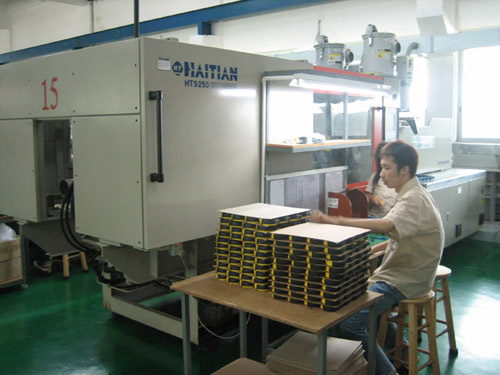 Focusing first on TPE molding, we have advanced the art of overmolded plastics. Dual Injection; Overmolding; Two Shot Molding; Soft Touch; Ergonomic Molding. 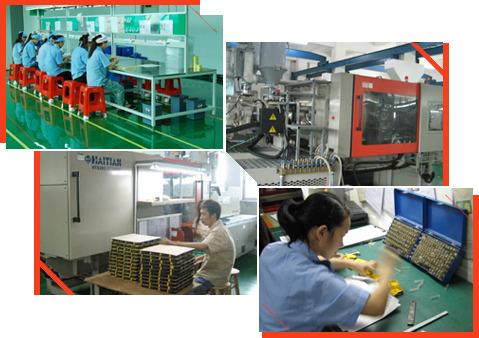 We specialize in these processes that give your products a real advantage in the market. Here. Now. Experienced. Tested and time-proven, our reps know plastics and they know project development. Responsive and responsible, they are the first line of support for our North American customers. They speak English and they speak the language of industry. Hong Kong’s vital role in global commerce means your project, from CAD to container-load is handled by a global-savvy team looking out for your needs. In the center of the bustling province, our new plant draws on modern resources for robotics, factory automation, proven supply chain partners and the rigorous disciplines needed in the competitive market. From 5-S to 8-D to poka-yoke we combine Japanese practice with US- innovation and Chinese discipline. Click on the “Process Flow” tab to the left for a lot more on our specific capabilities.